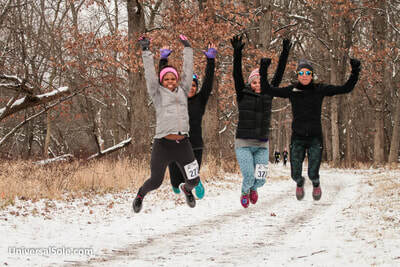 December Trail Challenge - Results Here! December 15th, 2018 @ 9AM! Trail running has always been in our USOLE DNA! 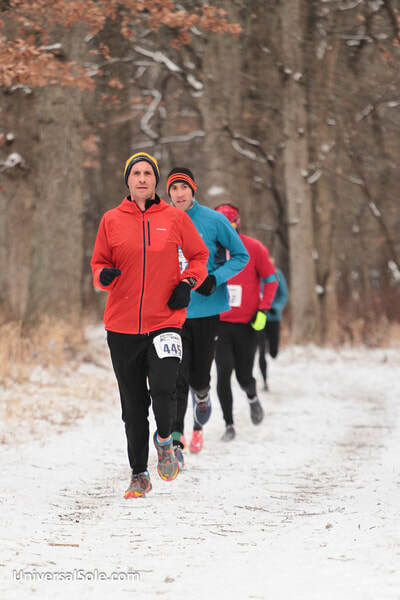 We were the first running store in Chicago to bring trail racing to the Chicago running community. 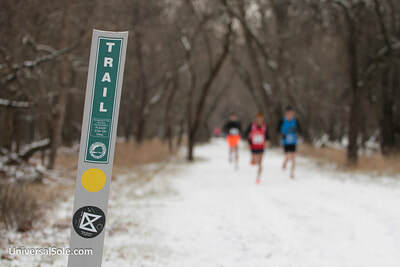 These trail races are great courses for folks wanting to get off the roads and enjoy some of our beautiful trails, but not have to be an expert trail runner to get to the finish. 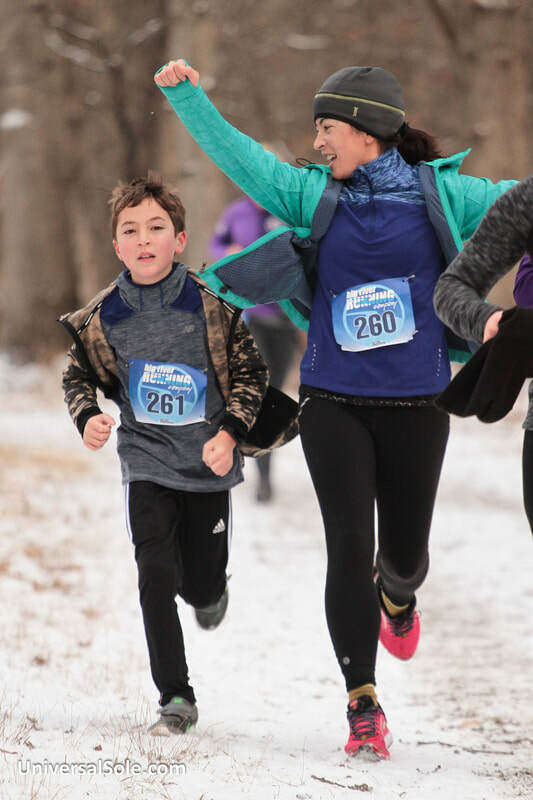 Our trail races are very laid back and great fun for the entire family, making it fun & easy for all! 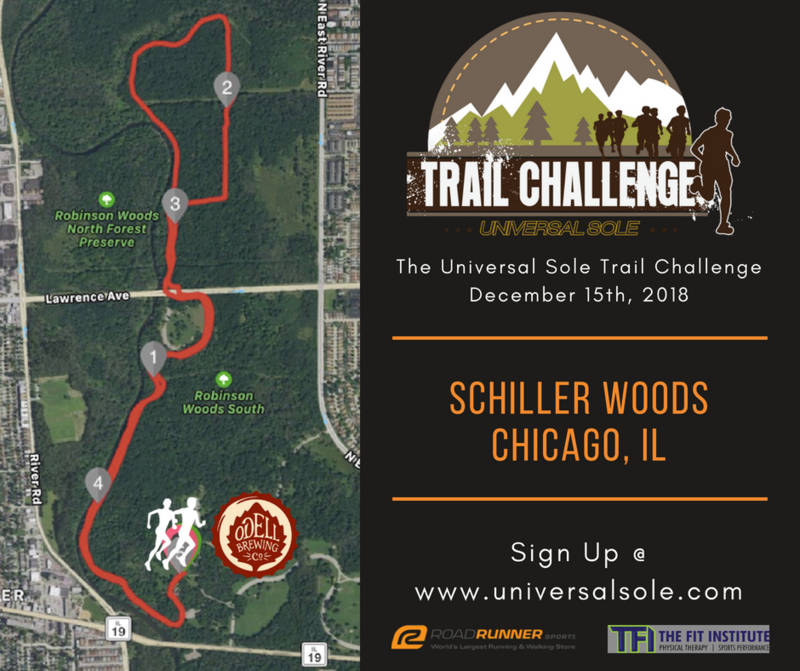 The USOLE Trail Challenge is great for people of all ages and all abilities looking to change up the running routine and get “off” the roads! We will be headed back to the Far Northside of Chicago and Schiller Woods! This is the original USOLE Trail Challenge course and location and we love this place! A great location very close to the city, but has the great trails and scenery of the woods in beautiful Schiller Woods. The trail will be a flatter off road course with crushed limestone, rocks & roots to run over. A nice blend of single and double track will satisfy all levels of trail runners! If we get a little rain, the course will have some mud section which will make it even more fun! 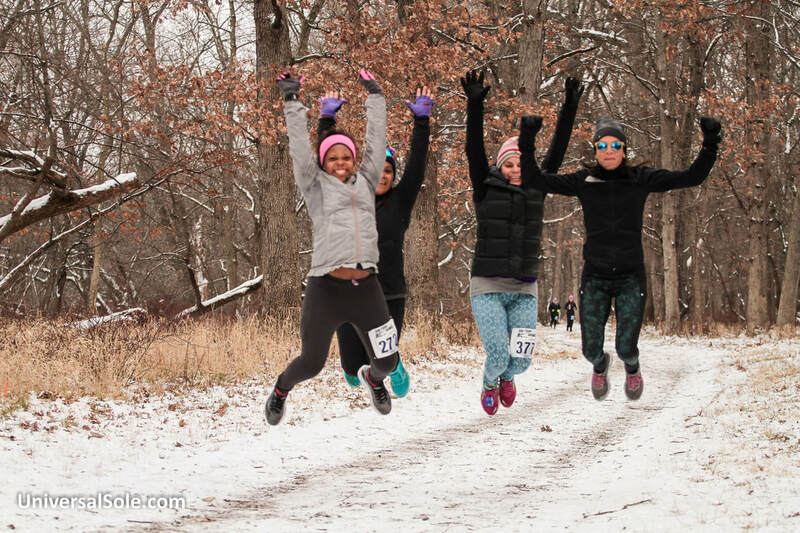 Come our and run in our original USOLE Trail Challenge location! We think it is time to get a really cool USOLE Trail Challenge Beanie Cap! 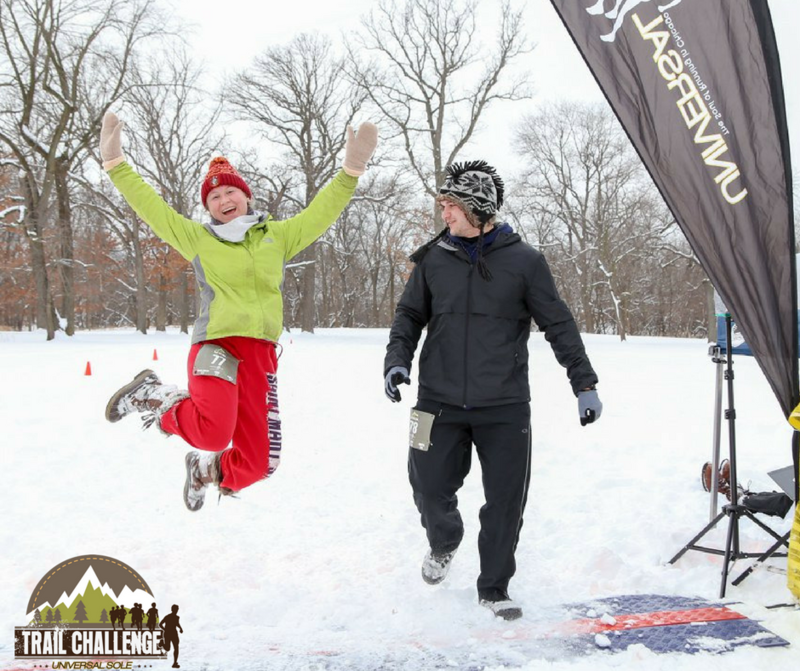 All participants registered will receive a cool USOLE Trail Challenge Winter Beanie! 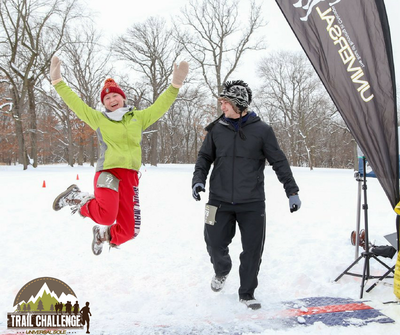 This will be great to wear all winter long to protect your head and ears while showing your USOLE Trail Challenge pride! Only available to those that come on out and run out USOLE Trail Challenge Races! Courses will be trail & off road with crushed limestone, dirt, rocks, & roots...and maybe some mud. Fun is the name of the game! Races will begin promptly @ 9:00am! Race day pickup & registration will begin @ 7:30am! Water and NUUN Hydration Drink at the Start/finish line. Due to Cook County Forest Preserve regulations, we are not allowed to have any aid station in the trails. Be sure to bring your hand held bottle or hydration backpack if you will need on-course fluids. Clif Bars, bananas & apples will be at the finish. Refreshing Odell Brewing Craft Beer will be given to all runners after along with other goodies. Parking Info: Plenty of parking in the forest preserve parking lots! Schiller Woods - From I-294 take the Irving Park Road exit east. From I-90, take the Cumberland Avenue exit south to Irving Park. Entrances for Schiller Woods West entrance is along Irving Park Road (right turn into the grove). We will be at Grove # 3. Post race raffle with great prizes from Universal Sole & all of our sponsors to be held at our post race party on-site! *If you are picking up a packet for a friend, just have name available and we can look up the rest. 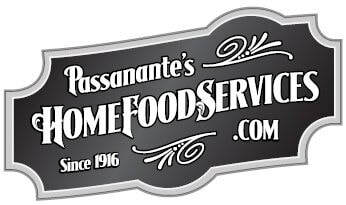 Post Race - Will's Famous Chili, Brews & Fun! Once the races are over, Will's Famous Chili and craft brews for everyone! We will have some other goodies for folks as well to enjoy, but let's run, have some fun and enjoy some of Will's Chili & Odell Brewing Craft Beer! We are always in for a treat when Will crafts his family three meat chili for all to enjoy! A great post race treat after hitting the trails! 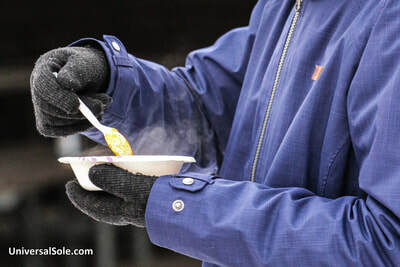 Will's Famous Chili along with some ice cold Odell Craft Brews are not to be missed!